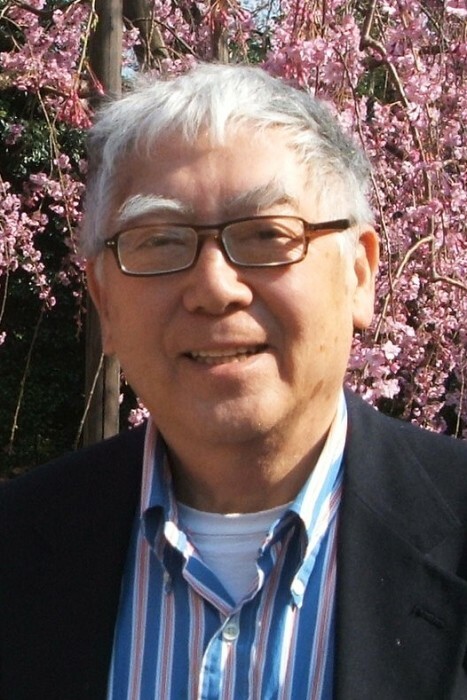 On March 24th, 2019, Martin “Mich” Mitsuyuki Matsudaira, born in Seattle, Washington, a loving father of four children and an uncharacteristically large family, passed away at the age of 81. He was a people person who loved engaging in conversations with those around him, which always seemed to be interrupted with frequent laughter and many kind words. He had an infectious grin that always seemed to bring out reciprocating smiles in all those around him. He was loved. Mich was the eighth of 14 children born to Thomas Tokuhisa and Theresa Hotoru Matsudaira. At the age of five, Mich was interned in Camp Minidoka, Idaho, with his family during World War II as part of President Roosevelt’s Executive Order 9066, which forced over 120,000 West Coast persons of Japanese ancestry (Nikkei) into one of ten relocation centers spread across the nation because of their Japanese ethnicity. This experience would later serve as the fuel within Mich where he championed equal rights and diversity for the greater Asian community. After returning to Seattle in 1945, Mich attended the Immaculate Conception Elementary School and O’Dea High School before serving in the United States Air Force as an In-flight Refueling Specialist on tanker aircrafts. After receiving an Honorable Discharge from the Air Force in 1960, Mich went back to school and earned his Bachelor of Arts Degree in Economics from the University of Washington and his Master’s Degree in Public Administration from Seattle University. After graduating, he went to work for Boeing as an Industrial Engineer Manager before taking the role of Executive Director on the Washington State Commission on Asian Affairs for the Office of the Governor. Mich later founded and operated his own men’s clothing store called “Mich’s” in Seattle, Washington and established Walker Street Clothes, creating an avenue where other businesses could cooperate in a new buying service for clothing customers seeking specialized sizes. In 1990, he returned to Boeing as a Financial Analyst working on many projects to include the development and production of the Boeing 777 jet airline. Mich was a strong advocate for human rights and equality, dedicating over 25 years of community service serving as Director, President, Trustee, and or Appointee on many local, state, and national boards and councils throughout his adult life. Mich’s long list of community service roles include working with groups such as the Seattle-King County Economic Opportunity Council, the Seattle-King County Municipal League, Board of Governors and President of the Seattle Chapter of the Japanese American Citizens League, Racial Audit Task Force for the Church Council of Greater Seattle, Washington State Affirmative Action Planning and Evaluation Committee, State Coordinator for the Indochinese Refugee Resettlement Programs, and the National Council for Japanese-American Redress, which was instrumental for instituting a class action lawsuit against the United States Government for damages caused by the wartime exclusion and incarceration of Japanese-American citizens of the United States during WWII. Mich was appointed to the National Advisory Committee on the Asian and Pacific American Population for the 1980 US Census, the National Steering Committee for the Bicentennial Ethnic and Racial Concerns Congress, National Campaign for Human Development, and Chairman of the Steering Committee to establish the City of Renton Human Rights and Affairs Commission. Mich was the kind of guy who loved to drink coffee and not wash his mug, always striving to achieve that perfect coffee stain patina. He loved the Huskies, but not as much as he loved the Mariners. He hated sticky surfaces and would often repeat, “yucka yucka yucka” whenever he wiped them down. He loved sitting on the porch in silence while watching storms roll in and he had a gift for storytelling. He would often tell stories about his time in the Air Force, like the time he stood up in the back of a refueling tanker and quickly realized that he forgot to disconnect his emergency parachute. He would go on in detail about his embarrassment and the laughter of the rest of the crew as he gathered up his parachute while it spread out like silk all over the back of the plane. During the final days of Mich’s life, he never lost his natural ability to make people smile. Whenever someone would come and visit, his face would light up while his eyes reflected genuine and contagious joy. He had the uncanny ability to make everyone’s concerns fade for a time as he projected this positive energy on other people in the room. Mich comforted his loved ones up until his last breath. On March 24, 2019, Mich passed away in his sleep with his family at his side. He lived a full life and left behind a vast empty space inside of everyone who knew him. Mich is survived by his four children: Mark (Yuka), David (Judy), Melissa (Roddy), and Scott; Four grandsons: Bailey, Connor, Martin, and Nicholas; five granddaughters: Robin (Adam), Andrea, Amy, Hatsune, and Haley, and one great-grandson: Jackson. Mich’s surviving siblings include brothers Theo (Joyce), Vincent (Charlotte), Stephen (Linda) and sisters Pauline, Ida, Theresa (Wes), and sisters-in-law, Lillian, Barbara, Hisako, and Brenda. Mich is also survived by over 45 nieces and nephews. Mark, David, Melissa, and Scott are incredibly grateful for the excellent care provided to Mich by Polyclinic Medical Oncology, Swedish Hospital, and Providence Hospice. Mich expressed on more than one occasion how impressed he was with the level of teamwork that he witnessed with the staff. “I pioneered that!” he would jokingly say. Mark, David, Melissa, and Scott also consider themselves incredibly fortunate to have such amazing friends and family who showered them generously with so much love and support. Thank you to each of you. Your continued generosity keeps reaffirming what being a part of his family truly means. A Memorial Service will be held on Saturday, April 27 at 11:00 AM at Immaculate Conception Catholic Church: 820 18th Ave, Seattle, WA 98122. In lieu of flowers, donations can be made in Mich’s memoriam to Nisei Veterans Committee Foundation (NVCF), 1212 S. King St, Seattle WA 98144. Click HERE to download the NVC Foundation form. There's still time to send flowers to the Memorial Service at the Immaculate Conception Church at 11:00 AM on April 27, 2019.